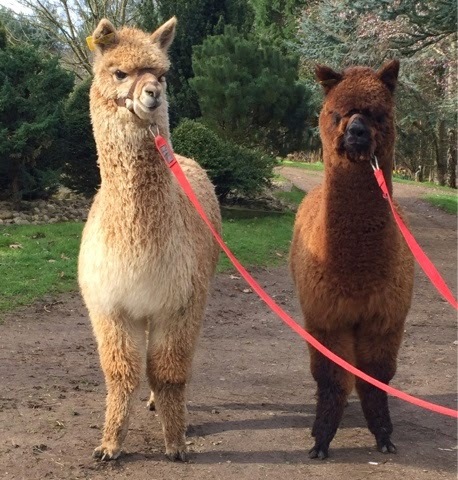 Off they go, fully halter trained TOFT pet males going to a new home where they will delight and amuse. These non breeding males are only pets because they have better brothers. 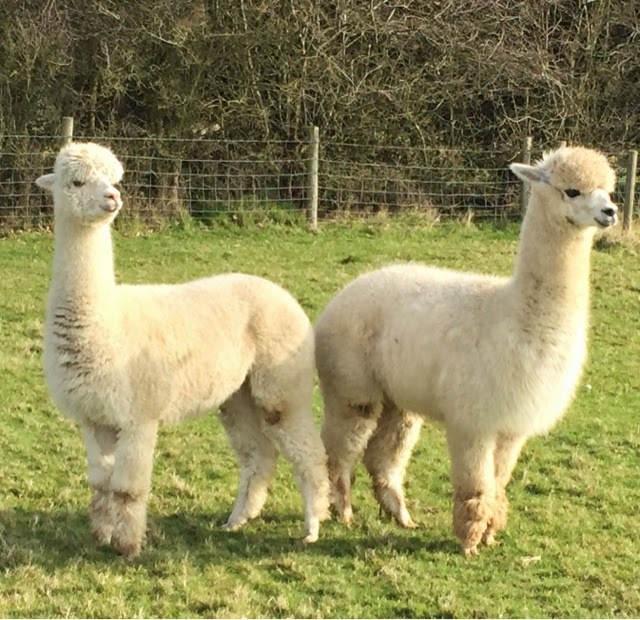 We are very selective here at TOFT and only a handful of our males are selected each year for our own herd or sold as stud males to other breeders. 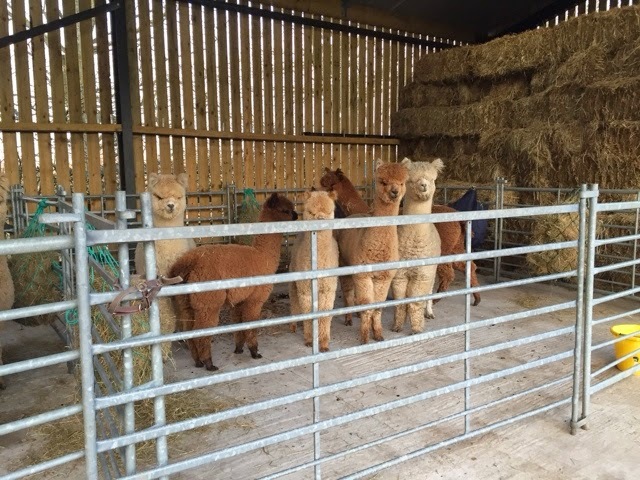 The rest of our beautiful boys are trained to halter and go off as Pets, to be used as fibre herds, sheep guards, chicken guards, therapeutic focus, petting farms, alpaca trekking groups etc. 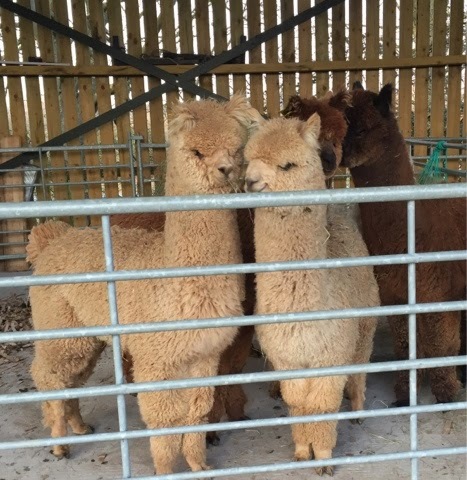 I fact TOFT Alpaca Pets are used anywhere and everywhere some one wants well behaved, fine fibred alpacas for anything else other than breeding. These two youngsters are off to a lovely new home in Warwickshire to join some of their relatives who are already resident. Enjoy! 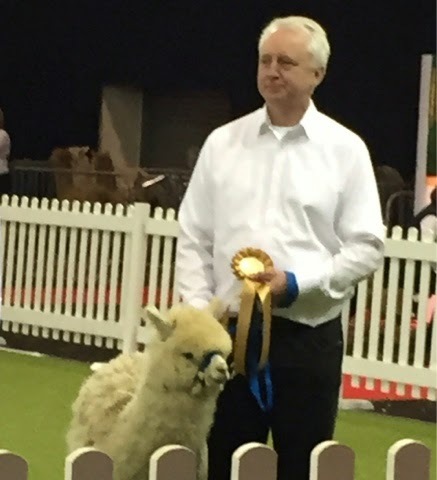 A huge TOFT thanks to the organisers of the British Alpaca. 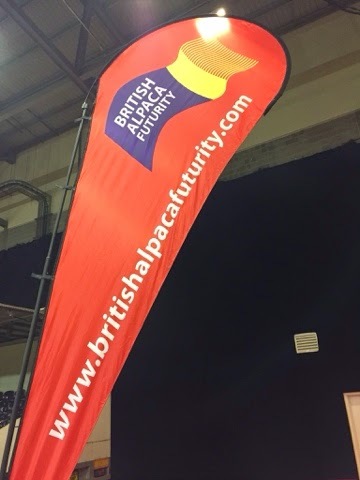 Futurity 2015 at the Ricoh Arena Coventry. Great room, well organised, fab judging and a lovely atmosphere throughout. A huge thanks to Chas and Rachel of Classical Mile End for what is a colossal undertaking. 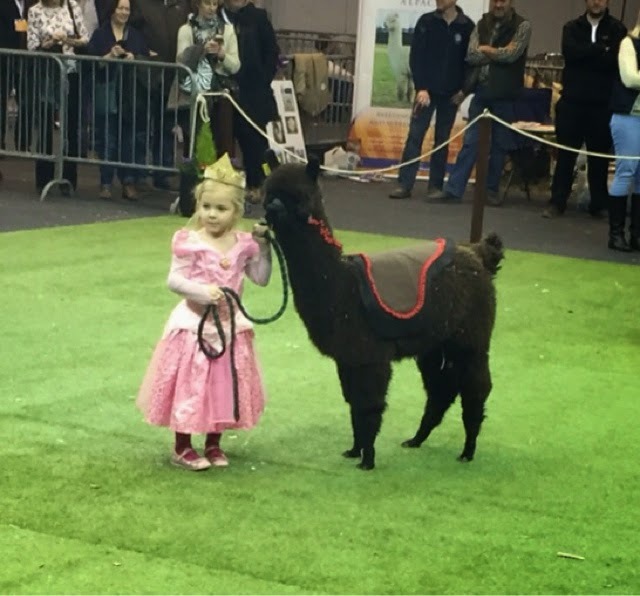 Big thanks to Mary Jo of Bozedown alpacas for organising the showing and the other sponsors and organisers in the form of Houghton Hall and the Alpaca Stud for giving us a impressive promotional event of this nature. Much appreciation to all the stewards and secretaries for tirelessly keeping the wheels moving? 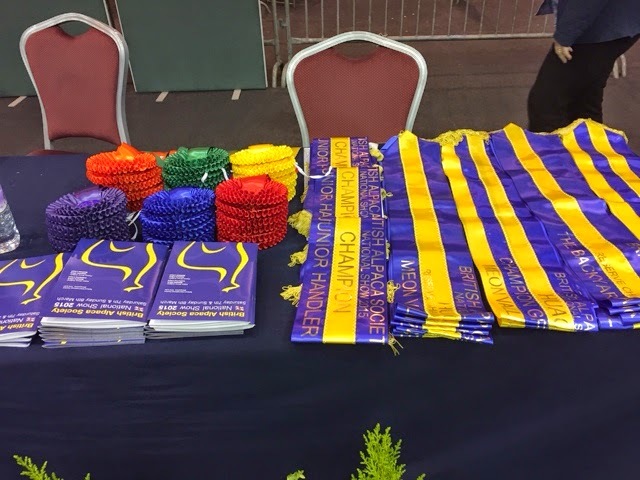 The Futurity is a wonderful showcase for our industry and much appreciated by all the exhibitors. A big hug for Belinda and her merry band of Yarnies who added a great deal of colour and class through the P-Lush event. 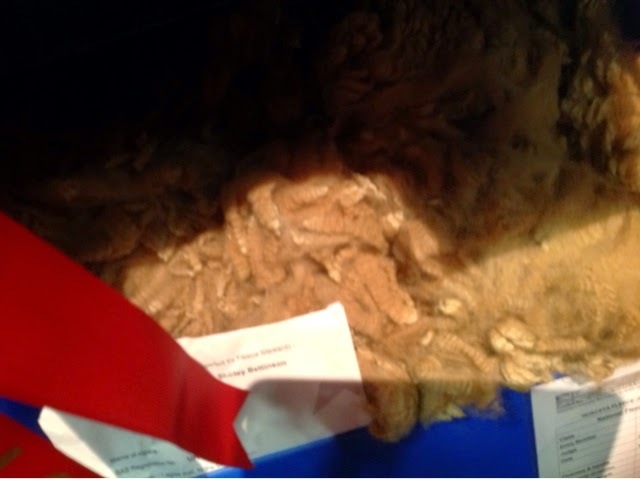 Thanks to Jean Field for organising the fleece show a hugely important feature which always gets a little overshadowed by the moving exhibits but is so vitally important to the future of our industry. And finally of a massive thanks to Wade Gease and Peter Kennedy the two international judges who shared of their wisdom and expertise with great charm throughout. However Mr Gease I am still trying to work out how to 'Schnuzzle' my alpaca. I think that might be illegal in the UK. Thanks to you both I enjoyed your input immensely. Have a great stay in our country and a safe trip home. Thanks again to all the organisers and participants for a thoroughly enjoyable alpaca weekend, congratulations to all the winners commiserations to the rest. Let's have a bit rest today and we'll see you all again soon. Well didn't they all do well ? Not only the TOFT Tulley clan but also the extended Tulley rellies from the client herds. 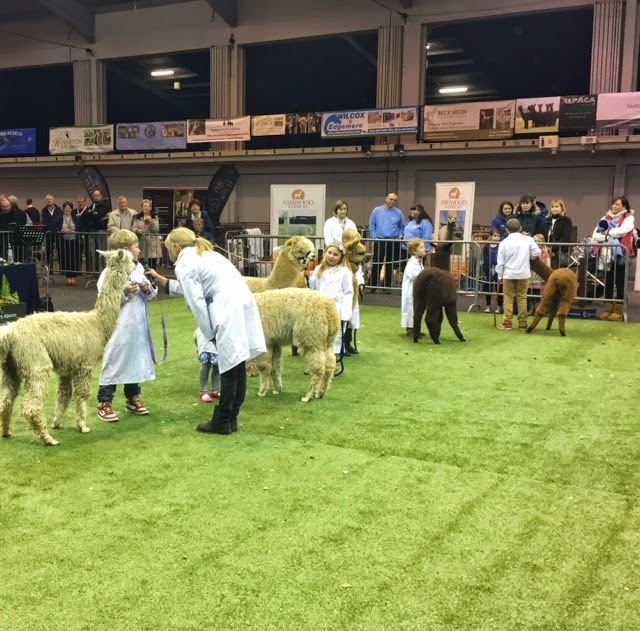 We personally took 13 alpacas, 12 of which were LAVENDER PARK TULLEY offspring and one Barrabinda Flinders Star of TOFT entered by Arre alpacas. 12 of the Tulley babes got rosettes and one magnificent broad ribbon Championship to add to the one they achieved at the National Show. 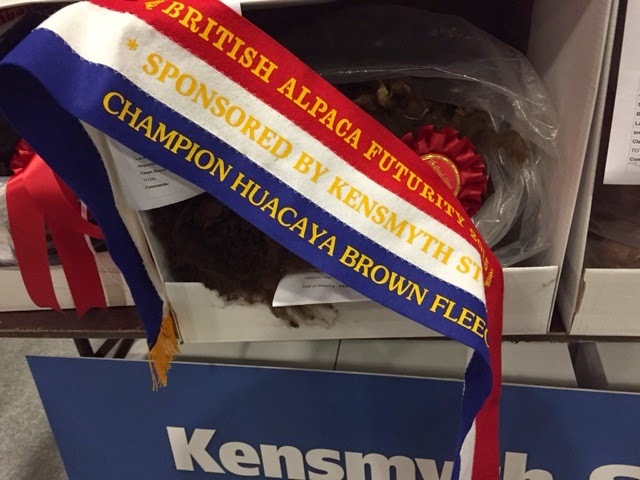 He may not have won but his kids did him proud and gave it a good go..
TOFT Timogen excelled with first in Intermediate Brown Huacaya and Brown Huacaya Champion in both fleece and halter. TOFT Toranaga achieved fourth in the Huacaya Junior Male Fawn class. TOFT Manilla achieved third in the Huacaya Junior Female fawn class. 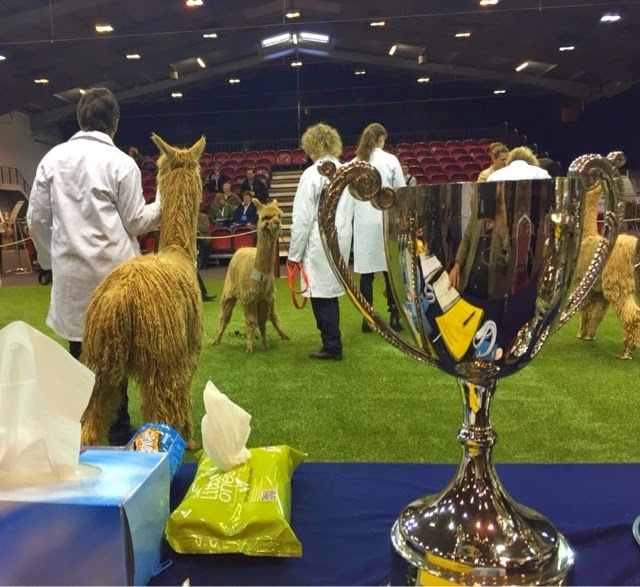 Inca alpacas Instrumental achieved third in the Huacaya Junior Male Brown class. 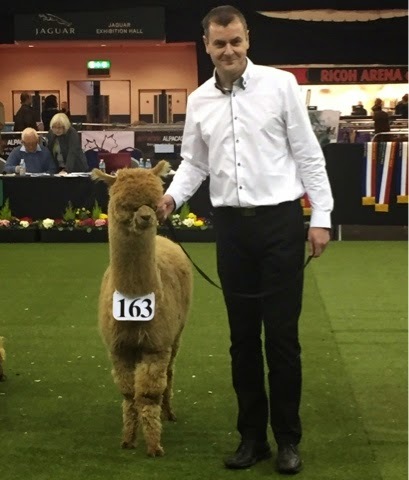 Ashwood alpacas Inferno achieved sixth in the Huacaya Junior Male Fawn class. 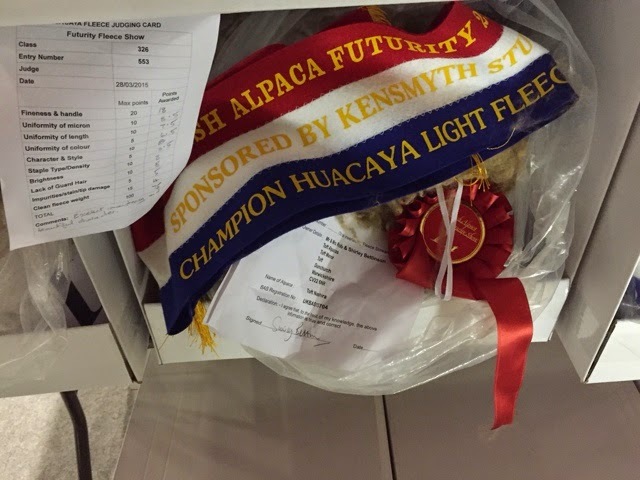 Top Alpacas Daisy achieved sixth in the Huacaya Junior Female Light class. 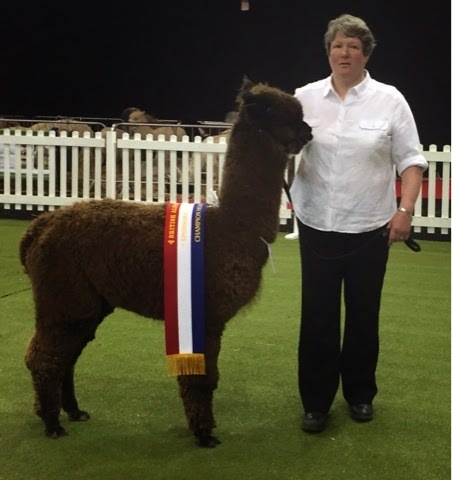 Du Prem alpacas Lavender Adonis achieved sixth in the Huacaya Intermediate Male Fawn class. 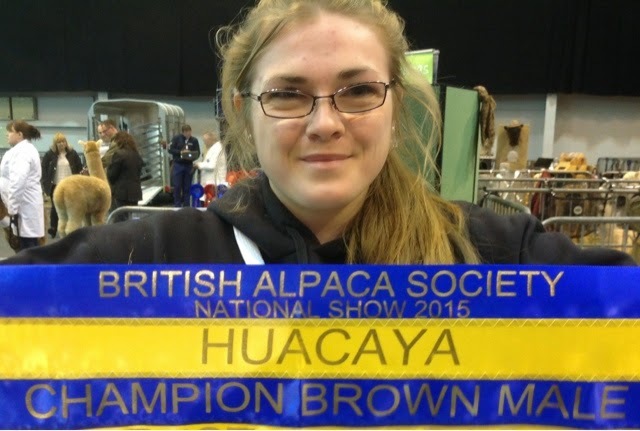 Ashcroft alpacas Zahia achieved fourth in the Huacaya Junior Female Brown class. Ashcroft alpacas Zinnia achieved second in year Huacaya Intermediate female white class. Only one of the kids entered in the show didn't get a rosette but the consolation is they did at the Nationals. Hey oh, that's show business! Didn't stop them joining in the celebrations with the winners on the way home. 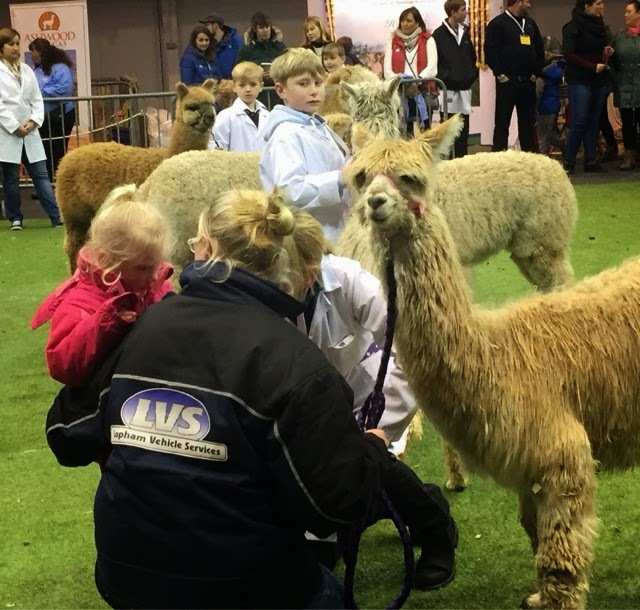 Congratulations to all the Tulley gang and their rellies for a magnificent showing in the British Alpaca Futurity 2015. If anyone wants to join the Gang for next year then please book in for services with TOFT as soon as you have decided because he already has a busy schedule ahead of him. 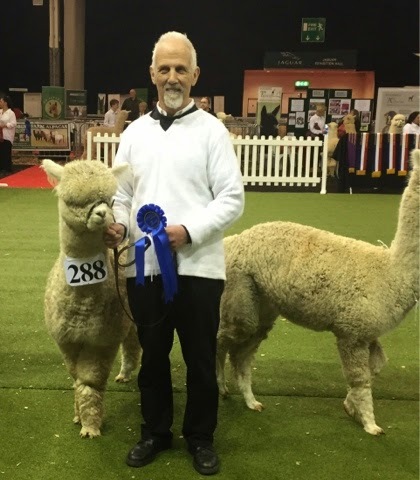 And a very special mention for Keith and Yvonne Lovering of Arre alpacas who with their young white Barrabinda Flinders Star male Alfredo achieved a competitive sixth in the junior male white class.. congratulations! And ... What's more here is Mr Ben Harford of Ashcroft Alpacas actually smiling. And here is Daimen of Du Prem glowing in the limelight without singing..
What else would you do a wet Saturday...? 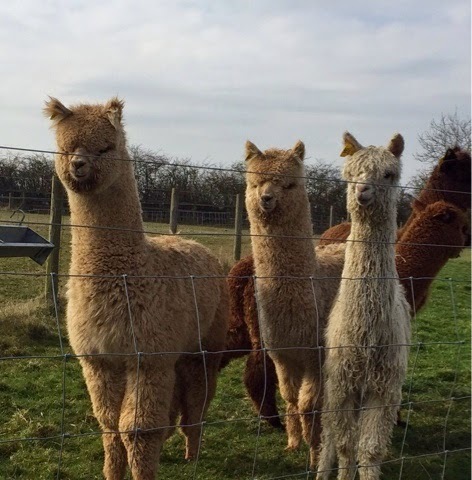 but get along to the Ricoh Arena in Coventry to watch the British Alpaca Futurity and sample the delights of Fibre and Fashion at the P-Lush exhibition where you can buys all manner of yarns, materials and designs by some of the best in the UK. If you are at a loose end today why not pop along and see us there. 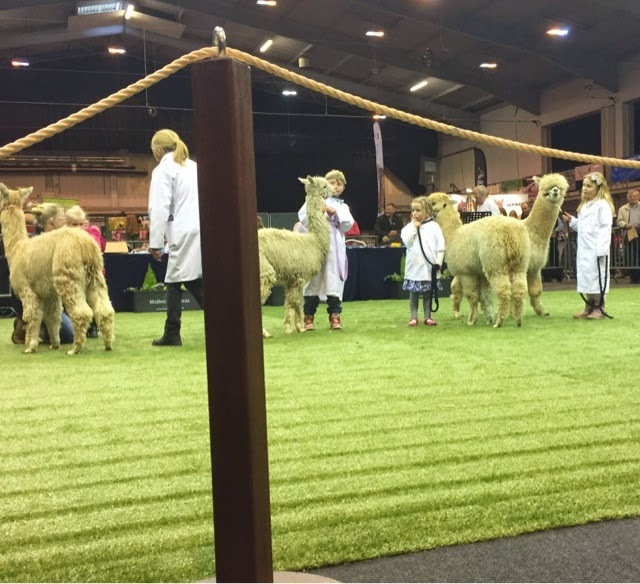 The two International Judges Peter Kennedy of the Australian Alpaca Association and AOBA and Wade Gease of AOBA are busy wading their way through over 400 alpacas representing some of the best young alpaca stock in the UK, Europe and probably the World. 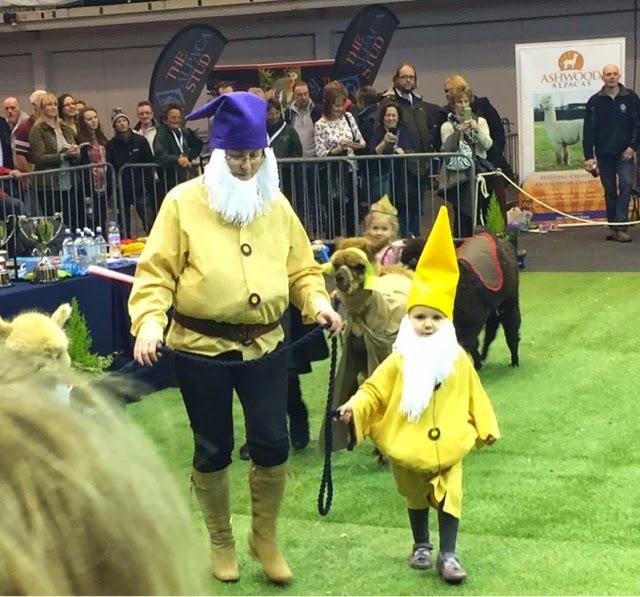 They are also doing a fantastic job entertaining the crowd and informing the breeders as they progress towards the big Championships this afternoon. 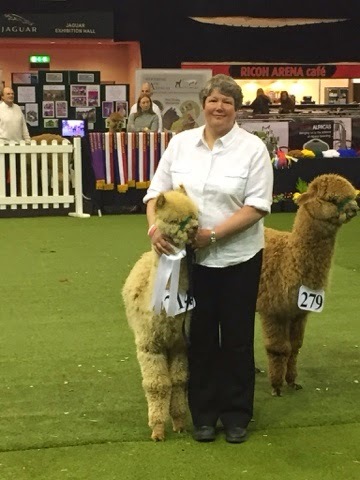 A smiling herds woman is a sight for sore eyes... First alpaca show for TOFT Manilla who took a third in the junior fawn female but really it's the smile on the handler which is the real prize... Well done Linda. 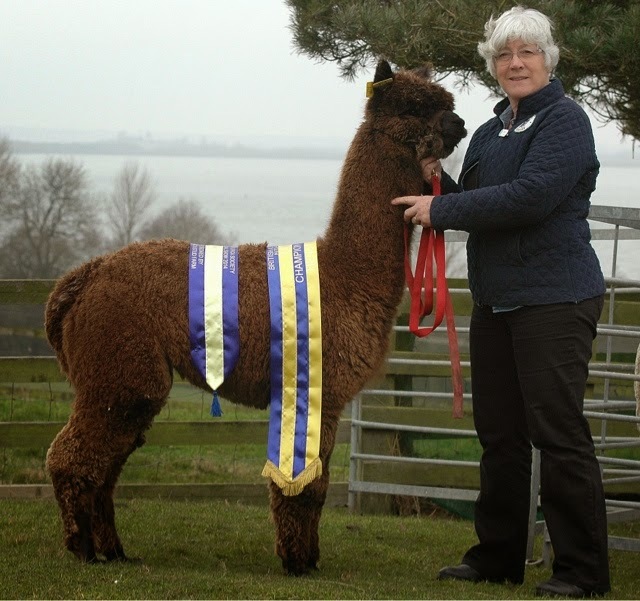 TOFT Adele a beautiful Medium Brown Adult female out of Lavender Park Tulley took Reserve Champion Brown Fleece at the British Alpaca Futurity 2015. 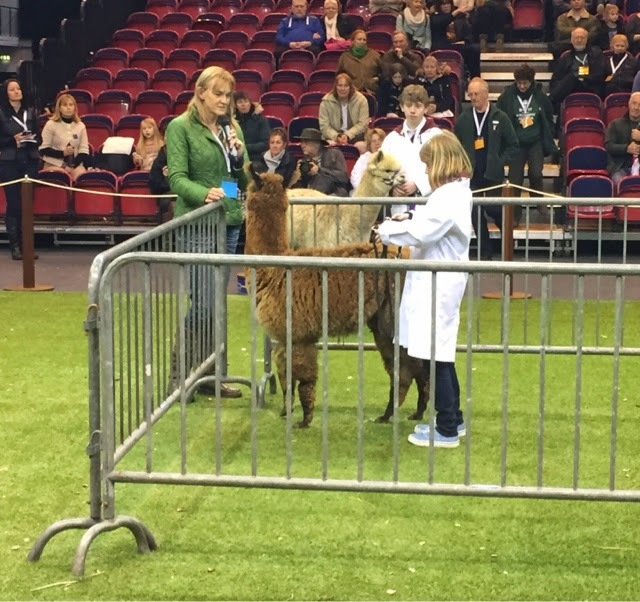 What a day for TOFT Alpaca Stud we walked into the Ricoh Arena this morning to find we had taken two broad ribbon Championships and a Reserve Champion Ribbon at the British Alpaca Futurity 2015. 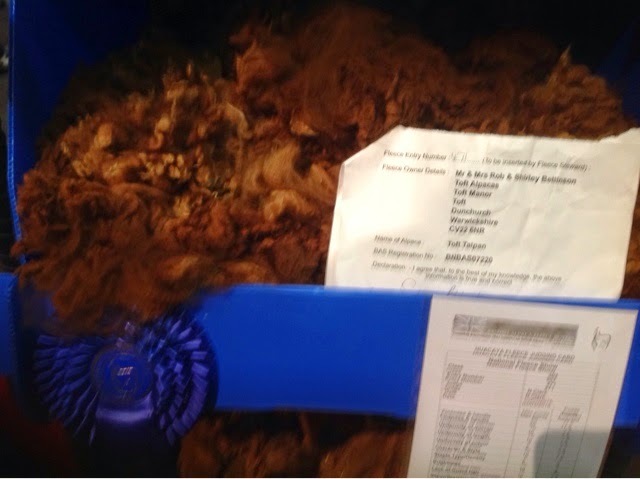 TOFT Nashira added to her broad ribbon Championship win at the BAS National fleece show with winning another broad ribbon Light Championship today at the British Alpaca Futurity Fleece Show 2015. TOFT Nashira is a real TOFT treasure. She is out of our medium fawn stud male Barrabinda Flinders Star. 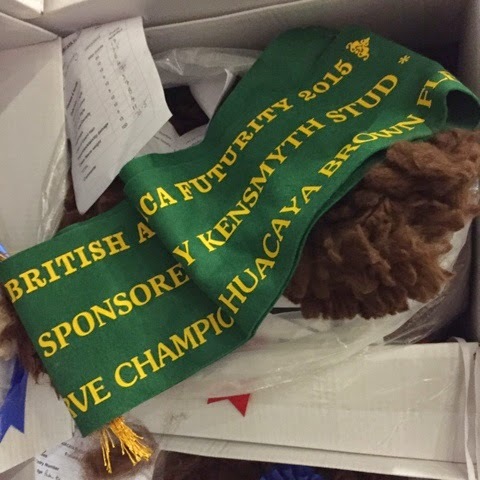 She is maintaining excellence in her fleece as she ages having put forward her fourth fleece this year to take the Huacaya Light Championship in both the BAS Nationals and the British Alpaca Futurity. 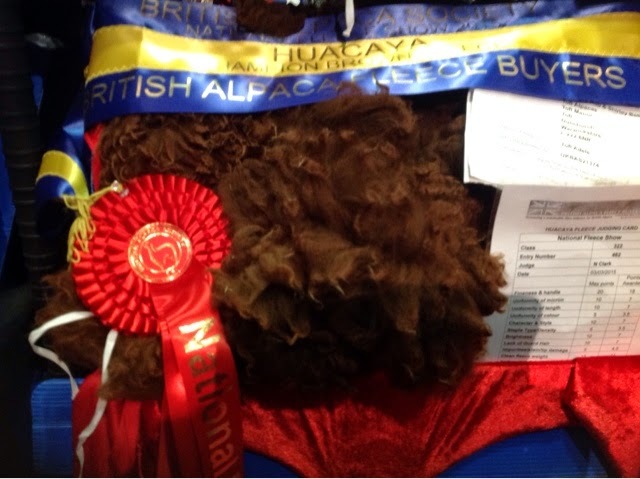 TOFT Timogen excelled himself at the British Alpaca Futurity Fleece Show 2015 by taking the Huacaya Brown Champion. TOFT Timogen took. Brown Champion in halter at the BAS Nationals in 2014 and 2015 and is weekend added another Broad Ribbon to his trophy cabinet. TOFT Timogen is rapidly becoming a legend and he's not yet two! Sorry dudes, we can't take you all. 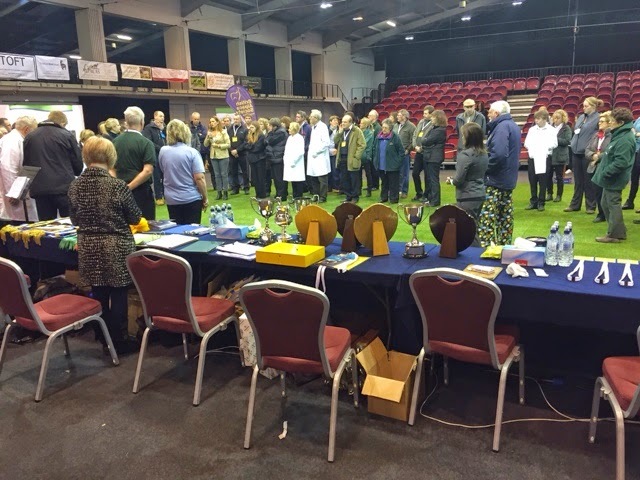 You may have won rosettes at the British Alpaca Society National but this is a different ball game and entries aren't cheap. LAVENDER PARK TULLEY who is standing at TOFT is one of the sires and all our entries for the Futurity are his offspring in as many colours and age groups as we can muster. Does he have a chance? It all depends on who is standing next to his kids...hey, that's show business! 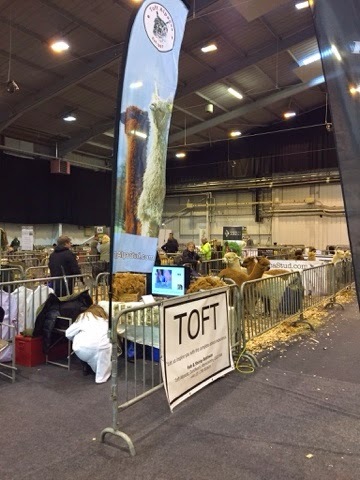 The TOFT Show team are all ready to go again at the Ricoh Arena Coventry this weekend at the British Alpaca Futurity. 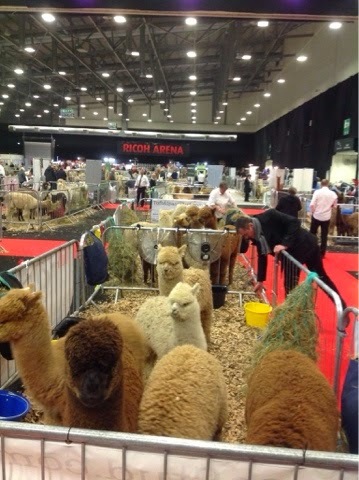 Will they do as fantastically well as at the British Alpaca Society National Show a couple of weeks ago? Who knows . Another day another judge anything can happen. If one knew the beforehand what the outcome would be there wouldn't be a point to going would there? Here's wishing everyone who attends a great weekend and much success- including ourselves. Well let's get real it is a competition after all ! 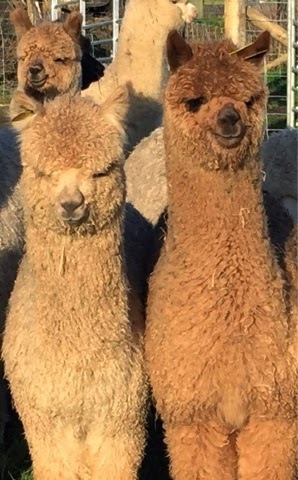 Please, I know 'Maters' is not a word it just aptly describes these two lovelies from Derbyshire who arrived in the TOFT Quarantine paddocks last Friday to be mated to Lavender Park Tulley. Tulley was a very happy boy yesterday at first sitting with his first go of the season. If any other breeders out there are thinking of using Tulley this season and have not yet booked in with us here at TOFT can we suggest you give Shirl and I a call ASAP as the boyo has a very busy schedule planned for 2015. This big a boy along with his two mates and and a small harem of females leaves TOFT today after being here over winter on holiday. They came down from Lancaster around about October as their owners were renovating their paddocks overwinter. They are leaving today for Wiltshire today. 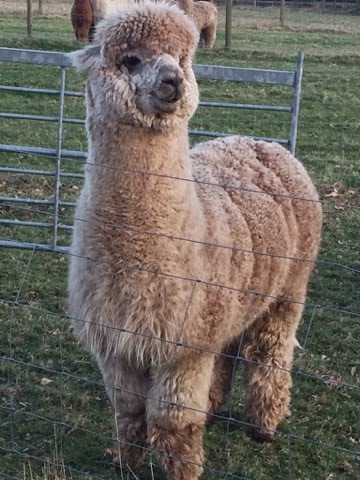 This big boy is currently in two years fleece having missed shearing last season which gives him that classic big Peruvian look. These visitors have spent the past 5 months in our quarantine paddocks as two happy little family groups and have been a delight, but today they are off to warmer climes as we need the space in quarantine now for all the wee groups of maidens now arriving at TOFT from all parts North and South for mating to our Stud Males. The sound of orgling TOFT stud males will underscore Easter this year. Hey ho and a mating we will go! 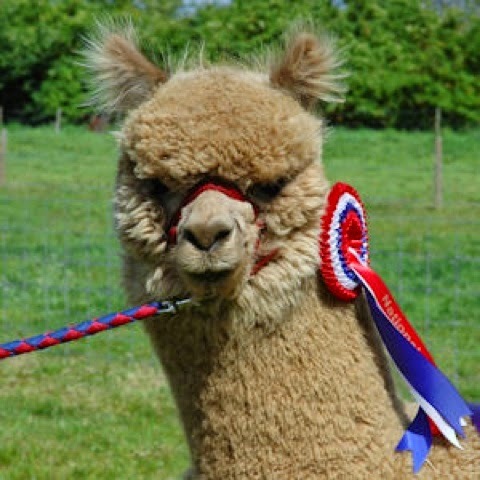 TOFT Show team will be strutting their stuff next weekend Fri and Sat at the British Alpaca Futurity 2015. 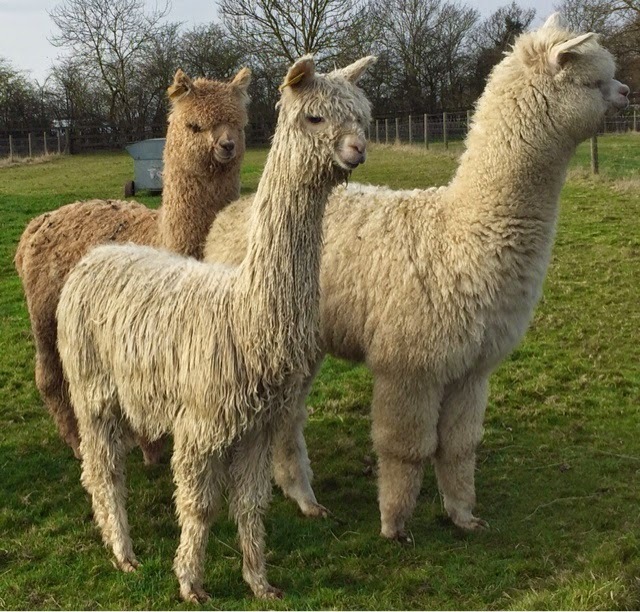 This is right on our doorstep less than 20 mins away so we hope that our alpaca friends who are attending will also take the time to visit TOFT either before, during or after the event. We only take the very best from TOFT to the shows but you should see what we have left behind. 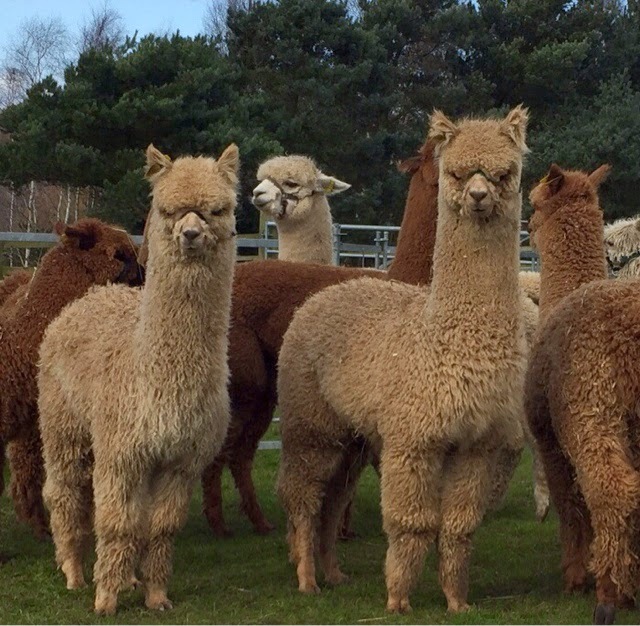 If you are a serious alpaca breeder and coming our way to visit the British Alpaca Futurity then please get in touch. We would be delighted to give you the grand TOFT tour. 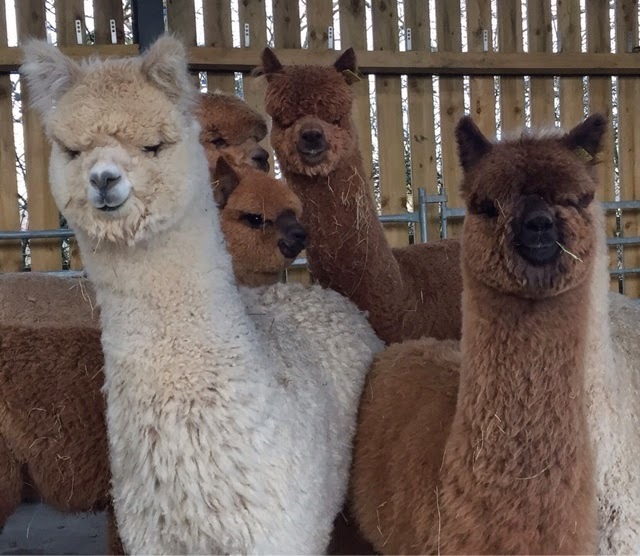 We have the famous TOFT Alpaca Shop on site and we also do some of the best coffee and cake in Warwickshire at the Cornflower Cafe. 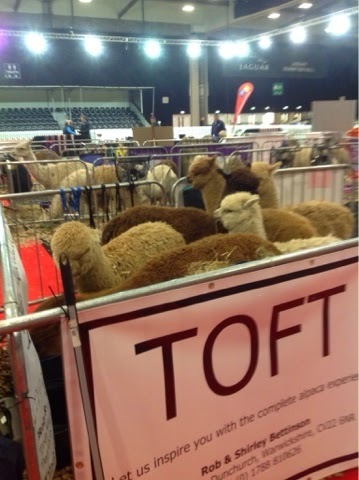 Give yourself a treat make a date with TOFT next weekend to sample the complete Alpaca experience! 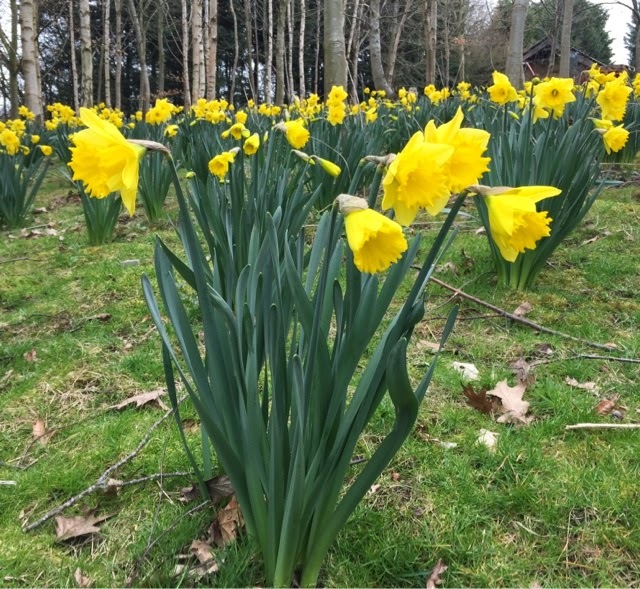 Daffs have burst into bloom this weekend. TOFT is gently shedding its winter coat. All the fields that were rested over winter are now harrowed, slit and fertilised. All we need now is a little damp and a lot of warm and visitors will be able to hear the grass grow at TOFT. 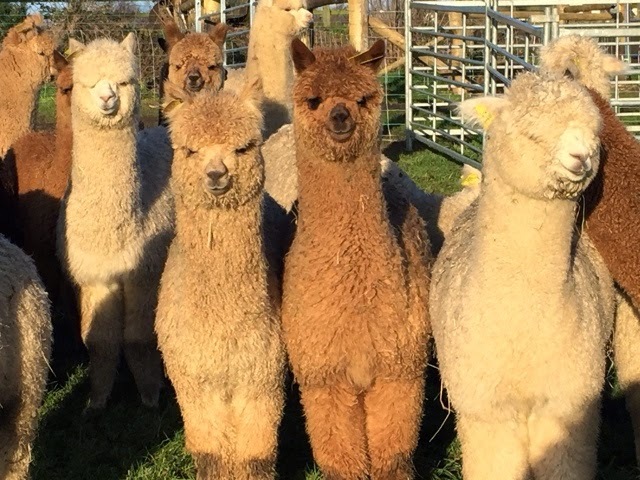 It will be the beginning of May before the first birth so there's a while to go yet where the only excitement will be listening to the grass grow and admiring the elite alpacas roaming the paddocks who look sensational at this time of the year. Don't believe me? Give yourself a treat and get down to TOFT and see for yourself. The fields are brimming with stunning expectant mums, elite weaners and exceptional maidens and young studs in waiting. The big boys are raising their noses in the air as they seek out the open females on the wind readying themselves for the mating season. It's all moving now below the surface at TOFT as we all smell the onset of Spring and ready ourselves for the season ahead. 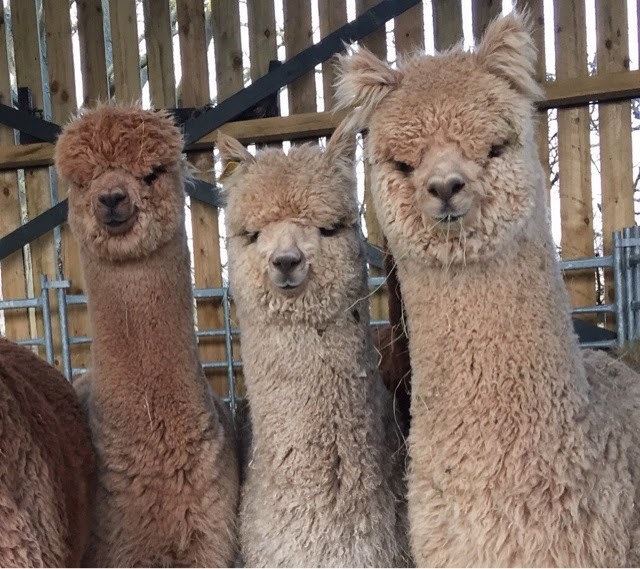 Team TOFT are all off to the British Alpaca Futurity next Friday and Saturday in search of medals. It's at the Ricoh Arena this year which is literally 20 minutes away from TOFT. 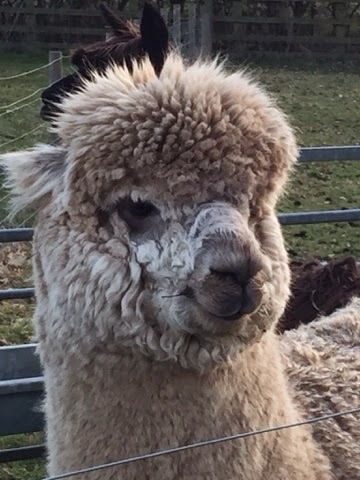 So if any of our UK or European alpaca friends are going to the Futurity and would like to combine it with a visit to TOFT Alpaca Stud then please get in touch. At the Cornflower Cafe we do the best coffee and cake in Warwickshire. Well worth a visit in its own right...honest! No salmon fishing in the UK at Palm Springs, Greetham in Rutland. I managed to get away from TOFT and the alpacas for the day last week to go Salmon fishing in Rutland. Excellent day chasing some very large fish around a lake with a wee fly and a fancy stick. Great relaxation and catching these three boyos in the last hour of our day was a real treat. 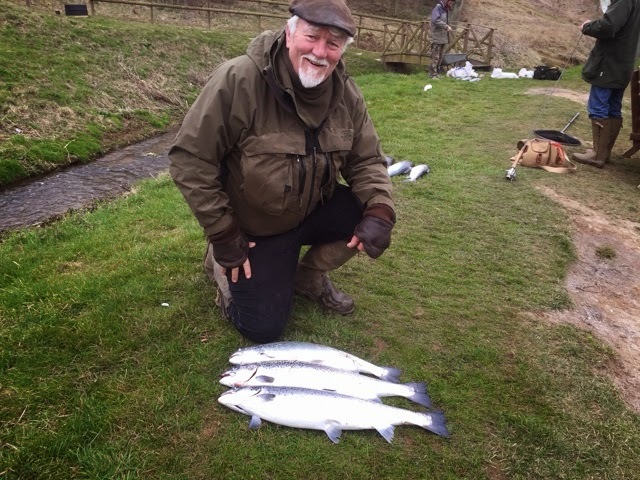 Big thanks to the other seven friends who invited me along and especially to 'Big' Neil Powell and John Woodcock who looked after me and looked very relieved when this novice actually landed a fish. 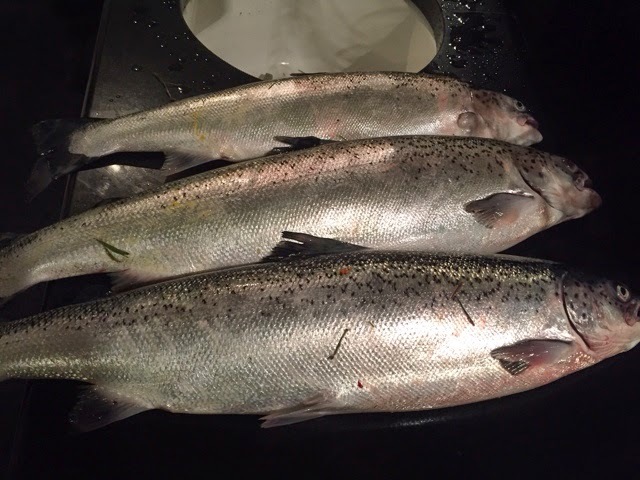 These three beauties are now in my freezer waiting to be grilled or poached or whatever... Yumliscious ! Thanks men we'll do it all again real soon. 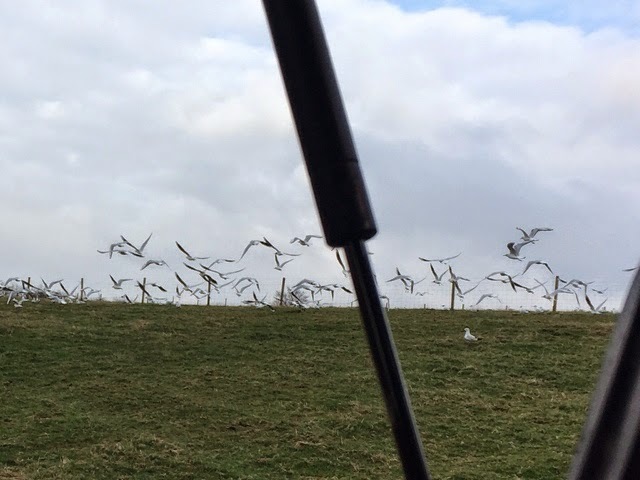 I had myself a little déjà vu this weekend as the birds came in from far and wide once they realise you are turning up bits of soil with bugs and bits in to eat. For just a moment I was ten again walking with my Dad down Sandy Lane on a Saturday morning towards Wolviston cricket ground for the weekly match. 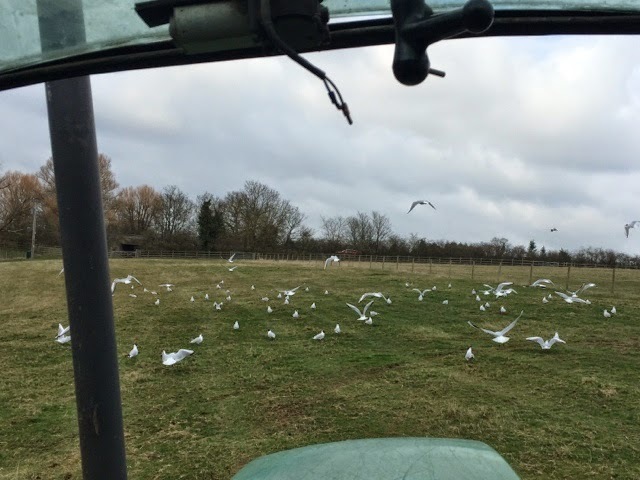 I stopped and tried to get a pic to catch at least one of the wee moments of magic of the black headed gulls hovering alongside the tractor. Thought was there but as usual the camera was not up to the job and couldn't get close to the magic. 'Twas ever thus. We note the in laws have been encouraging my mother in laws wild streak earlier in the year. All I can ask is who is going to keep an eye on the alpacas of she dons a bandana and goes all Easy Rider on us? I have the best. Mother in Law a man can get she is priceless a TOFT. 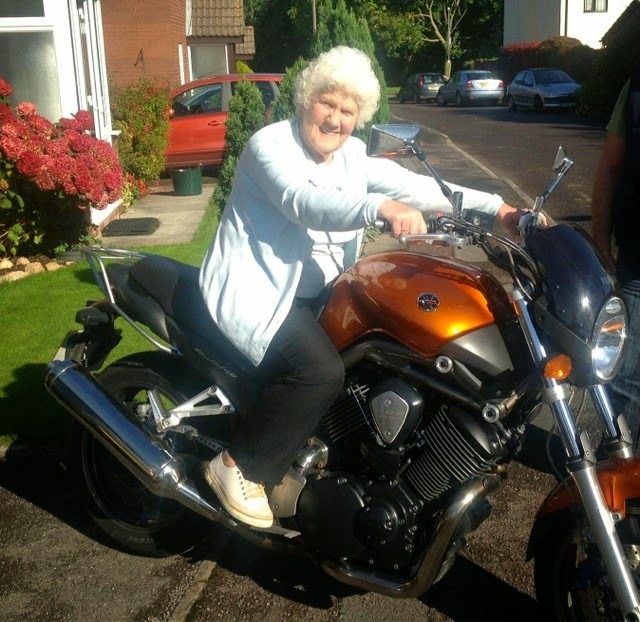 I certainly don't want her joining the Sons of Anarchy at 82 years of age. A bit of paragliding maybe but motorbikes? Really? Yeah, I know it wasn't the best day for photos today and yes we are all knackered from the weekend but before our show team settles down in the quarantine paddocks I thought I'd better get a pic, seeing as how I was too busy yatting to an alpaca breeder when our male actually won I missed the moment with me camera. The second time the boyo wins Champion Brown Male and I almost missed it. Twas ever thus! So despite the moans and the weather I dragged Whoopy Daisy out in the garden today to record the moment with TOFT Timogen. Well you have to, don't you, it's not everyday that we win consecutive Championships at the Nationals. PS: If anyone is seriously considering taking some matings with Timogens dad- Lavender Park Tulley this season can we ask that you get in touch early as it looks like he might have a busy season ahead of him. 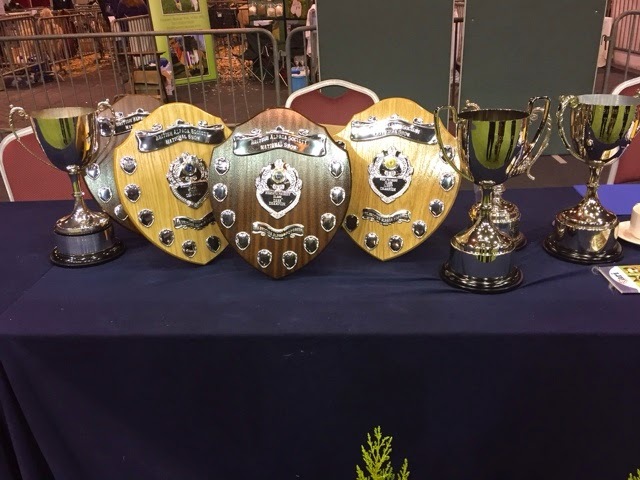 Massive entries of young folk for the young handler classes at the BAS Nationals. So many that two classes were created split on age. 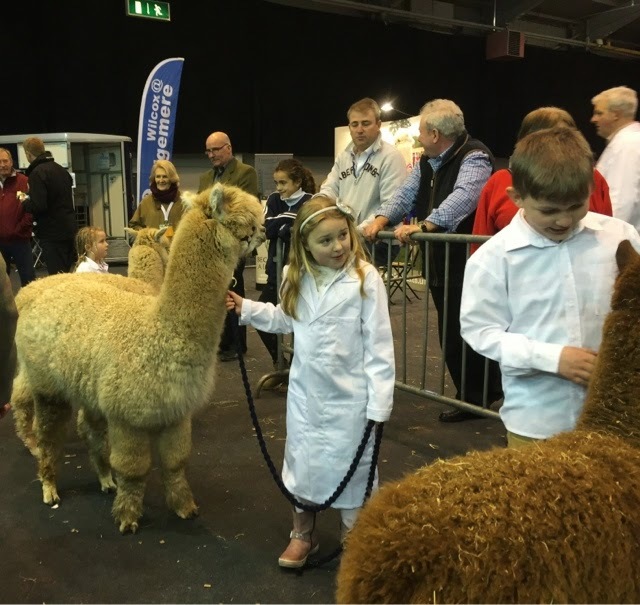 Apprentice judges Julia Corrigan Stuart of C S Alpacas, took on the wee ones and Jo Bridge of Windyridge Alpacas took on the older youngsters. 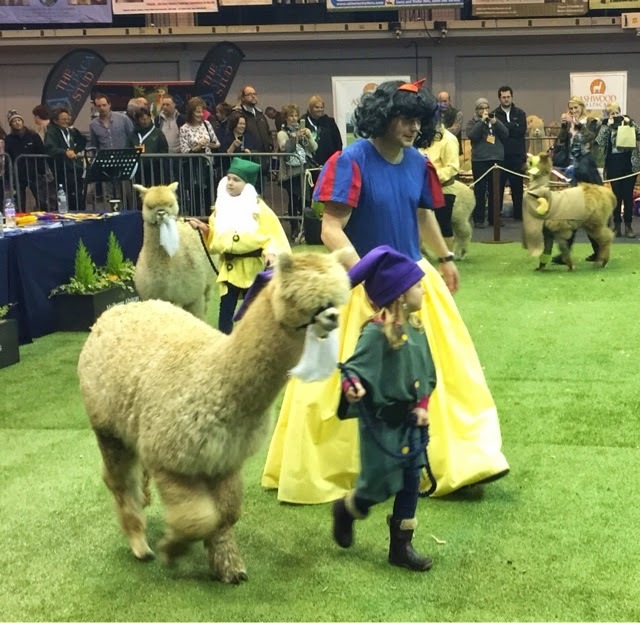 All very creative and charming the young handlers provided a wee treasured attraction amongst the rows and rows of elite alpacas on show. Well done all you young folk and well done ladies. Every one of the 9 TOFT entries to the BAS National show got placed resulting in a bonny crop of coloured rosettes from some seriously competitive classes. A massive TOFT thanks to. Barbara Hetherington of Beck Brow alpacas and her merry team of organisers and helpers who made the last two days a massive success. Well done one and all. The. National is a credit to our vibrant community. Roll on next year...same time same place and we'll do it all again...Perfick! 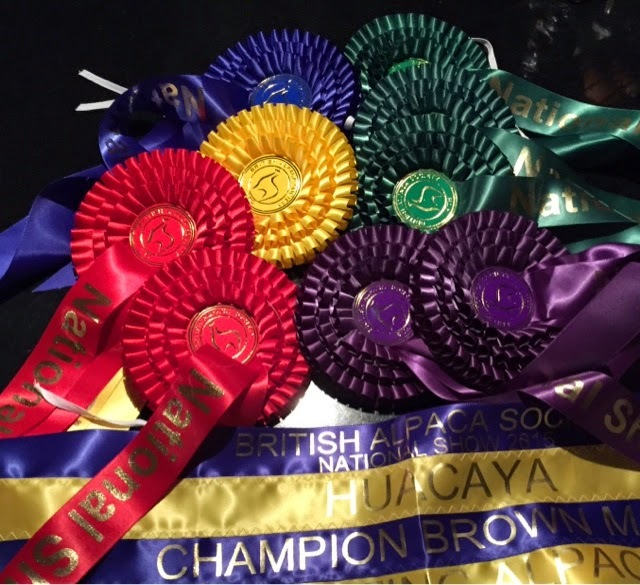 TOFT Timogen has delighted us all again at the BAS Nationals 2015 taking the brown Champion Ribbon for the second year running. 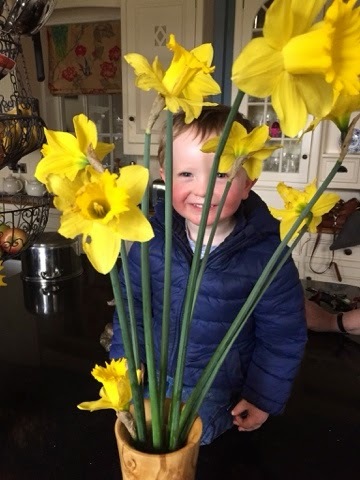 This Lavender a Park Tulley boy is carving out a name for himself to match his father.... Whoopee!!! Good results from TOFT in the. 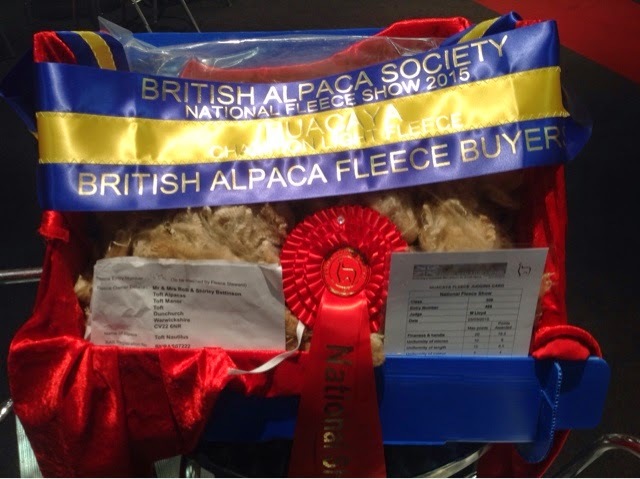 British Alpaca Society Fleece Show 2015. Each year we meet friends and foe to compete for the bling...and we love it! Sad or what ? No just obsessed with moving forward to see where we can go. And the alpacas? They never let is down...Perfick! Whole family themed for Snow White and the seven dwarves. Daddy in the dress deserves a medal for his dedication. As for the cutie in the pink dress - what a draw. The crowd loved it!